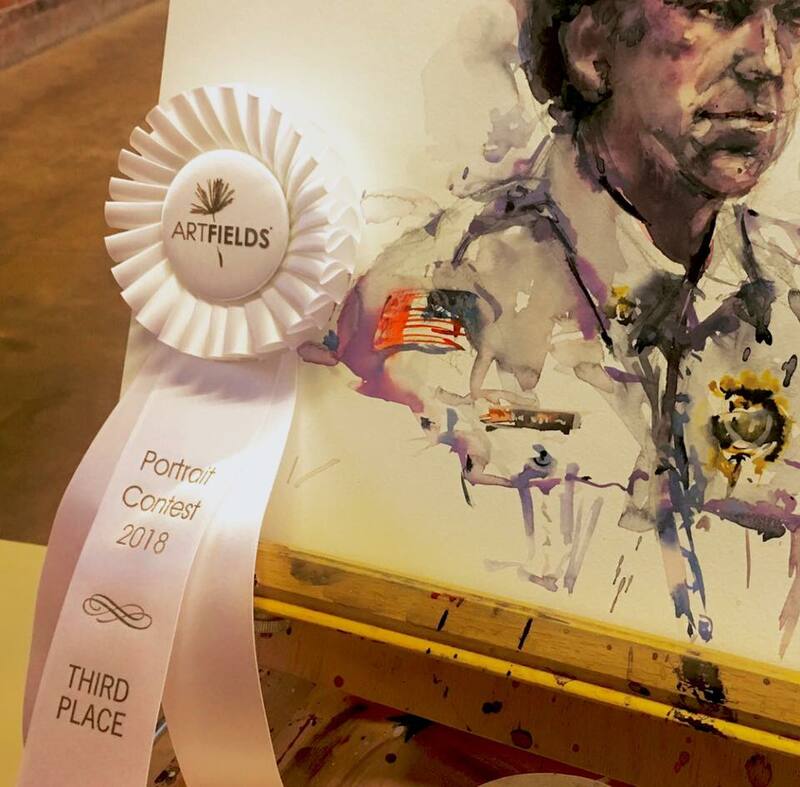 Brought home a white 3rd place ribbon at ArtFields’s portrait competition this past weekend. 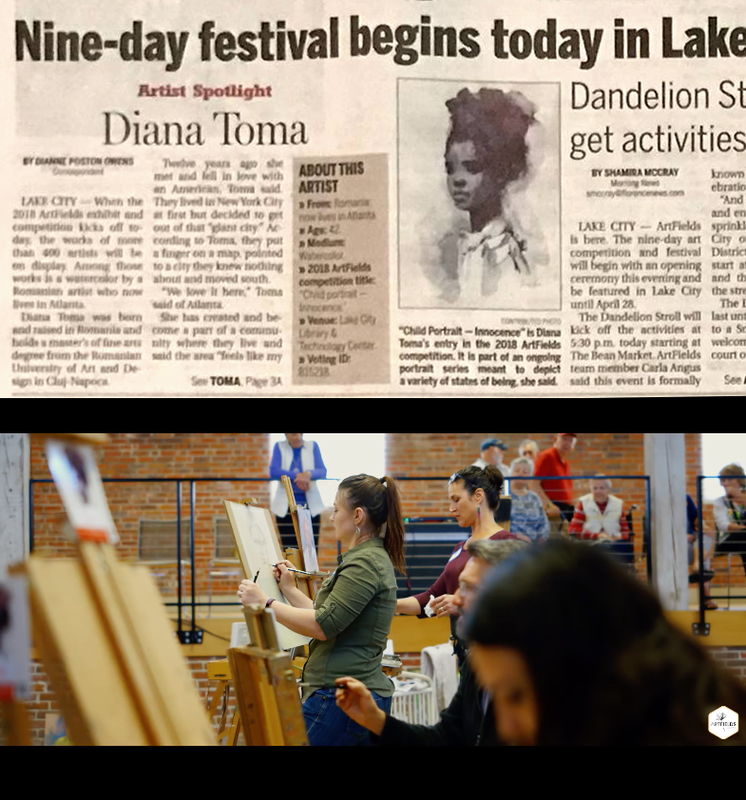 This incredible festival took place in Lake City, SC – “a week’s worth of celebration and competition in the heart of a traditional Southern small town that offers life-changing cash prizes of 120,000 to artists across all media who live in 12 Southeastern states”. In addition I was featured on the front page of the local newspaper “Daily News” by wonderful journalist Dianne Poston Owens! Read the interview here.